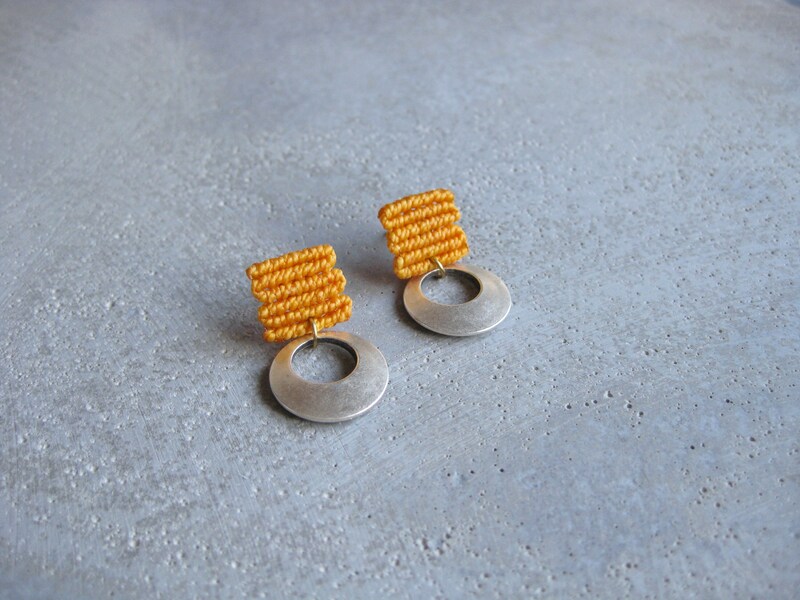 L u a . Yellow Stud Earrings with Circular Silver Adornment . 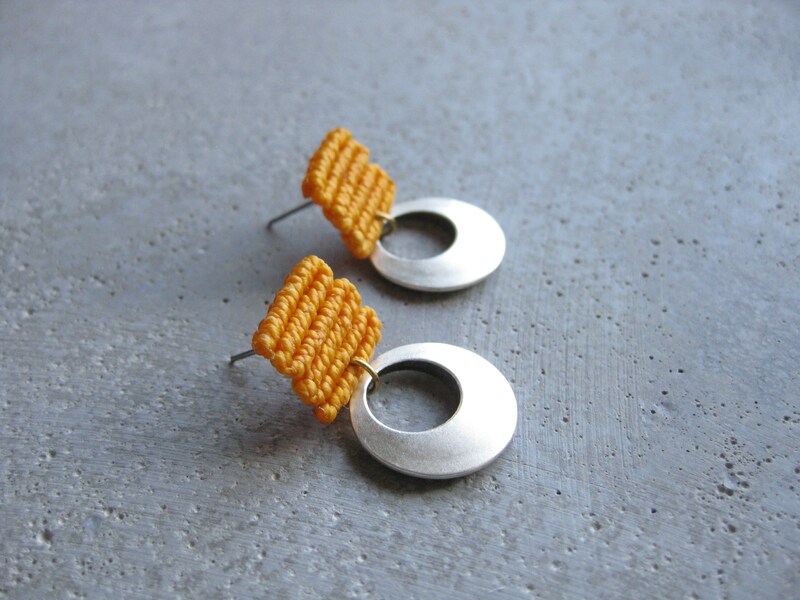 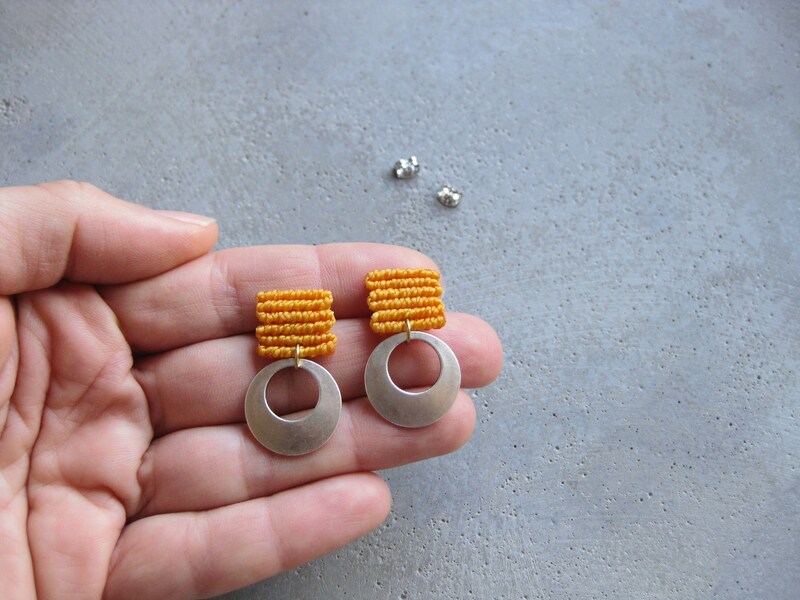 Fiber Textile Jewelry. 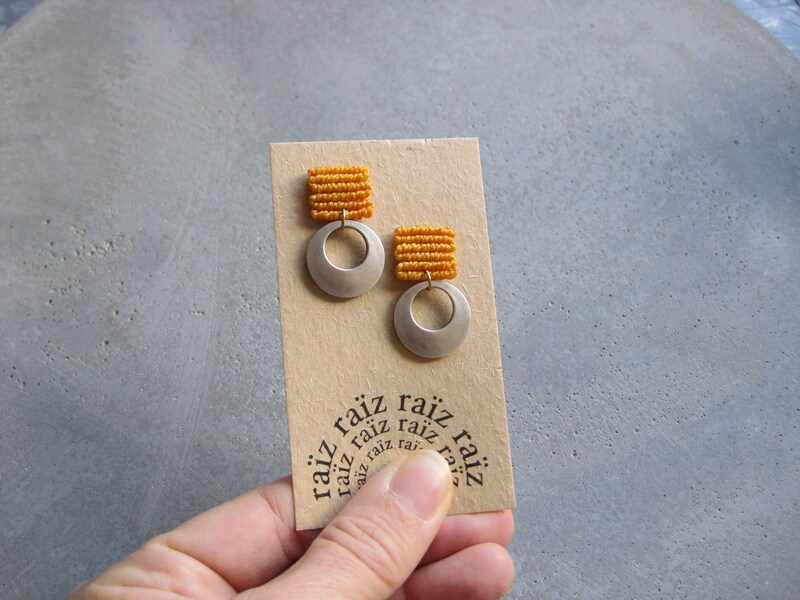 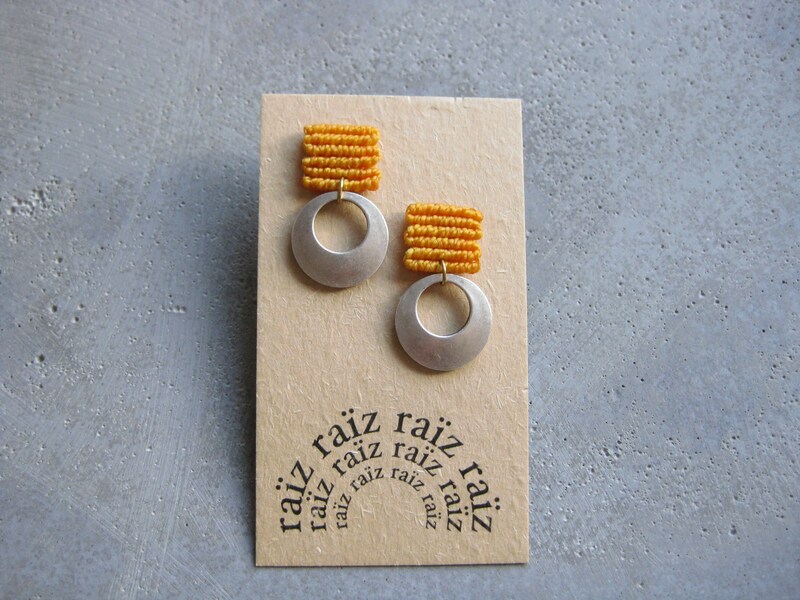 © Design by .. raïz ..
Yellow geometric square stud earring with silver dangling adornment. 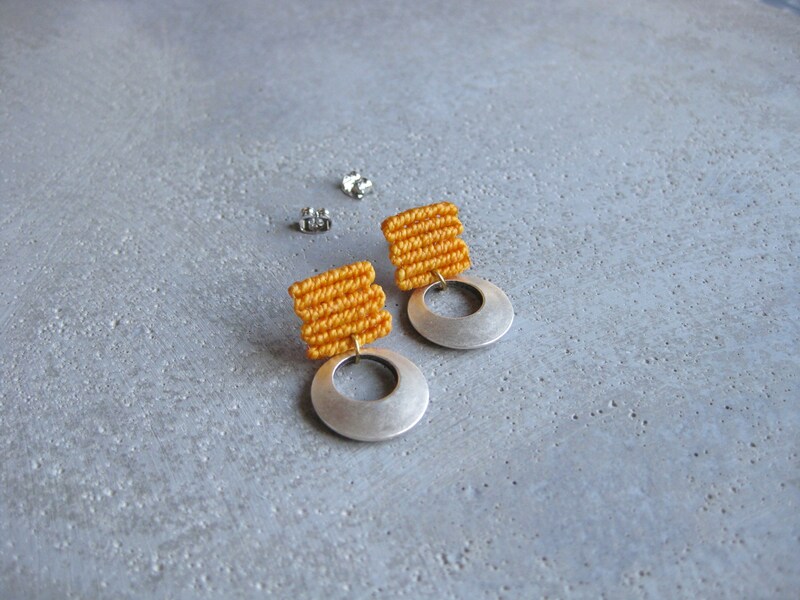 The ° L u a ° earrings embrace contrasting textures, materials, shapes and colors.